I can’t see anything... Hmm... It has to be somewhere. Where is this treasure chest? Can you see it? It was there on the beach, close to the sea... It got lost somehow... 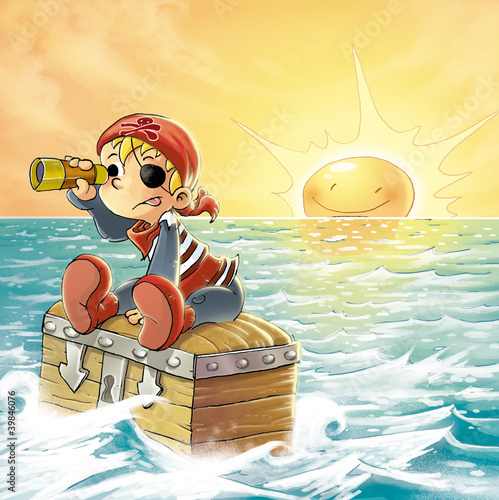 The photo wallpaper with a pirate at humoristic situation will be a perfect addition to every child’s room. Help these pirate to find the treasure.